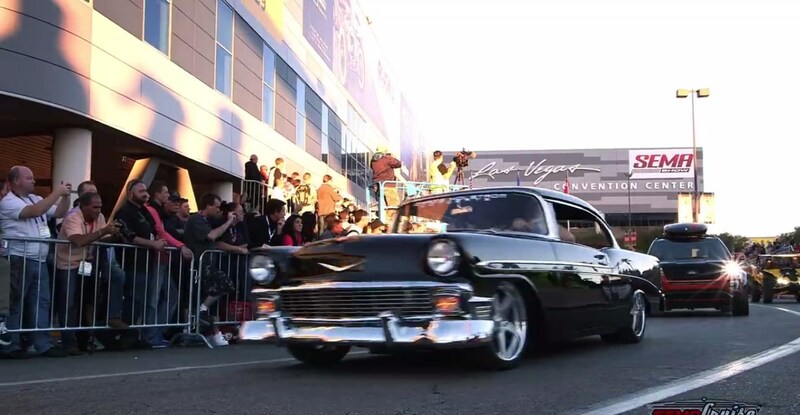 Two Minute Long Recapitulation Of 2015 SEMA SHOW! Unfortunately, all good things come to an end. However, there is always the hope that good things will repeat in the future and the sweet anticipation while we wait. Speaking from car aficionado`s point of view, such good things or beautiful events are car shows, without a doubt. And one show clearly stands out from the crowd, mostly due to its originality, the 2015 SEMA Show. As car lovers, referring to everybody in Muscle Cars Zone`s team, we can proudly say that taking part in the 2015 SEMA Show was a real honor! Also, the pleasure grew bigger with every piece of information shared with you! If you still haven`t seen it all, don`t hesitate and see it now! (Actually, watch this video first…). You don`t know what you are missing! Anyway, the video that is waiting for you below is full of various types of fascinating vehicles that will leave you breathless. Muscle cars & import cars, trucks & rat rods, bikes & one-of-a-kind creations. Everything is right here! Plus, there are several familiar faces from the automotive world, who just add to the value of this stunning event! Cannot wait until next year! SEMA ROCKS! At last, click here to see the best cars from SEMA 2015! Choose your favorite!